Shaun Rankin's beautifully simple salads can be thrown together at the last minute when everything else is prepared. 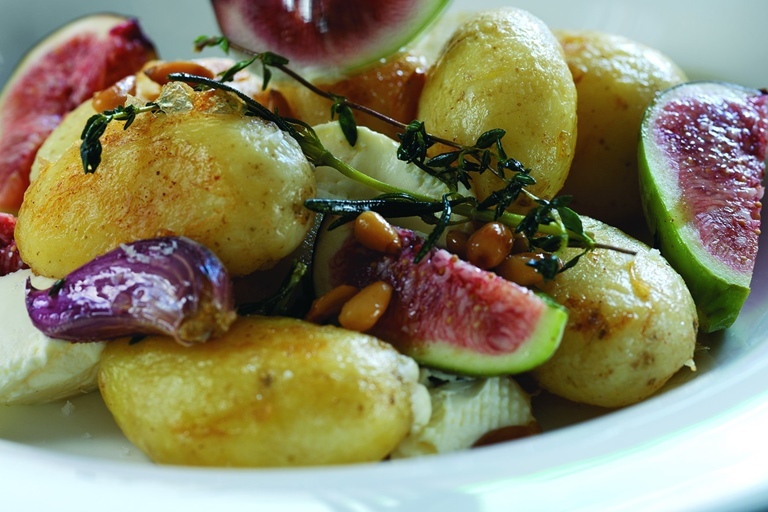 This potato recipe, using Jersey Royals, uses an interesting combination of goat's cheese and figs that works surprisingly well with roast chicken or even grilled fish. The figs used in this vegetarian recipe add a lovely layer of sweetness. Drain and allow to steam for 5 minutes before tossing in the clarified butter. Add the garlic cloves and thyme and season with salt and pepper and place in the oven to roast for 20 minutes, until golden.